Can Andrej Babiš’s ANO movement stay the course? The spectacular rise and fall of new anti-establishment parties has been one of the constants of Central European politics over the last two decades. But, despite the headlines, the region’s most successful new protest parties have not been right populists surging in Western Europe. 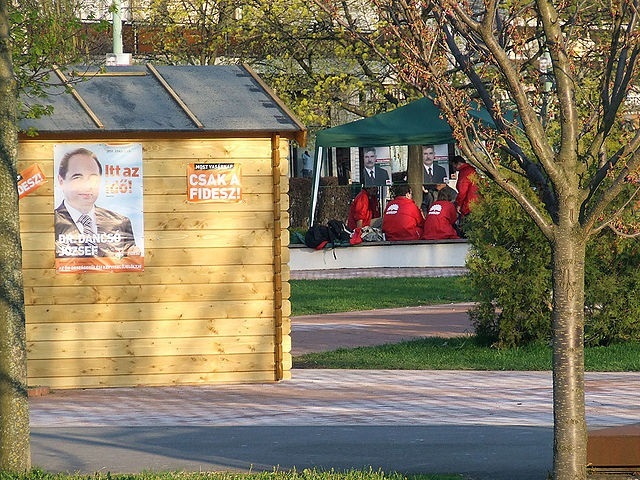 The successes of Hungary’s Jobbik or, more recently (and more modestly) Marian Kotelba’s People’s Party – Our Slovakia (ĽSNS) are more the exceptions than the rule. Instead the big winners have often been loose-knit, personality-driven groupings with a vague rhetoric of fighting corruption, speeding up reform and “doing politics differently”. Variously led by businessmen, journalists, technocrats or celebrities, who had deftly reinvented themselves as anti-politicians, this new breed of anti-establishment party lambasted conventional party politicians as a failed self-serving cartel in the best populist style, but retained sufficient mainstream credibility to appeal to large chunks of the electorate and move straight into government. For light summer reading in the Moravian countryside I grabbed an old copy of Len Deighton’s 1970s alternate history thriller SS-GB – a tale of cops and spies set in an alternative 1941, where a Nazi occupation regime is bedding in following a successful invasion in 1940 (warning: spoilers follow) and C.J. Sansom’s variation on the same theme, Dominion, set in a parallel 1950s Britain where Churchill never made it to number ten and a government headed by Lord Halifax made a fateful peace deal with Hitler after the Fall of France. Radical right parties have firmly established themselves in Central and Eastern Europe (CEE) since 1989. However, their support has waxed and waned far more than that of their counterparts in Western Europe. This paradox Bartek Pytlas argues in Radical Right Parties in Central and Eastern Europe: Mainstream Party Competition and Electoral Fortune, a new comparative study of Poland, Slovakia and Hungary, can be explained by the fact that ideological boundaries between radical outsiders and mainstream parties are more blurred. Conservative nationalists (Hungary, Poland) and social populists (Slovakia) provide stiff competition for the CEE radical right, but can also legitimise radical right themes and offer it a route into coalition government (Poland, Slovakia). Widely seen in the first decade after 1989 as a leading democratiser with high standards of governance overseen by a well-established set of West European-style political parties, the country has since acquired a reputation for engrained political graft and high level corruption, which blemished its record of reform and modernisation. East Central Europe: liberalism gone missing – or just never there? This commentary on liberalism and the responses to the refugee crisis in East Central Europe was co-authored with James Dawson. Images from Hungary showing security forces turning tear gas and water cannon on refugees from behind a newly fortified border will come as little surprise to many observers of East Central Europe. The government of Victor Orbán has systematically exploited the refugee crisis to ramp up a long-standing rhetoric of nationalist intolerance and consolidate its grip on power by passing a raft of emergency powers, further eroding Hungary’s once robust legal checks and balances. Such actions have drawn a storm of international opprobrium – including harsh criticism from the governments of Austria, Croatia and Serbia, all of which have taken a more humane and pragmatic approach to managing the influx of refugees. Few criticisms of Hungary’s actions have come from neighbouring EU states in East Central Europe still widely seen as front runners in liberal political and economic reform. Poland, Slovakia and the Czech Republic initially opted to close ranks with Orbán to head off the European Commission’s proposals for compulsory quotas. Wrong-footed and exasperated by the sudden re-discovery of liberal compassion on the part on Germany and other West European governments, leaders ranging from Slovakia’s social democratic prime minister Robert Fico to Poland’s newly elected conservative president Andrzej Duda provoked astonishment in Western European capitals by conceding that they might take a handful of those fleeing the war in Syria hand-picked on the basis of their religion. Poland has lately broken ranks by responding to pressure from Berlin, Paris and Brussels to sign up to quotas, yet even the deal’s supporters doubt it will ever be implemented against a backdrop of consistently hostile public attitudes towards refugees in the region. As one social media visualisation graphically showed, widespread use of #refugeeswelcome stopped abruptly at the old Iron Curtain. Such stances have been widely lambasted as hypocritical, ungenerous, lacking in compassion, and contradicting the long-term interests of East Central European states themselves.